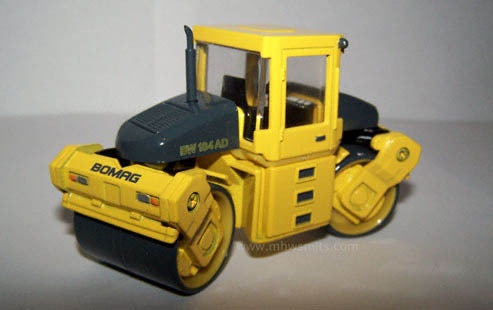 Both the packaging and the model itself mention Bomag as manufacturer of this scale model of the BW184AD. 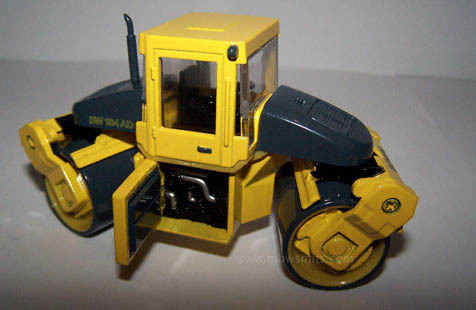 The model is pretty well detailled. The interior is nicely imitated and the dashboard is printed. 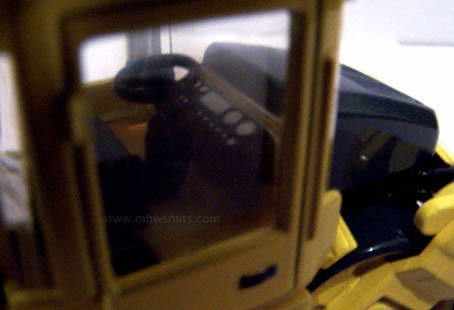 On both sides under the cab a door can be opened , to get a view on the engine. This is a nice thought, but the motor should have had more detail. 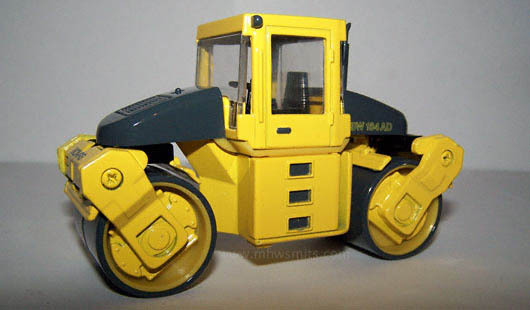 Everything considered, this is a nice model, which will suit any road construction collection.